A group of Catholics, mostly young people, have addressed a letter to the diocesan Curia. Whilst appreciating the educational and charitable work the Church has offered so far, the petitioners demand the diocese not be China’s "vassal" and end the "colonial" phase of its work as a substitute services provider. It also notes the commitment of Christian in politics, defending the right of the faithful to religious freedom in China as well as Hong Kong’s freedom. Hong Kong (AsiaNews) – A group of Hong Kong Catholics, most of them young, have signed and distributed an open letter entitled ‘Re-think the future of the Catholic Church in Hong Kong’. It is ideally addressed to the diocesan curia and to all the faithful in the diocese, calling on them for a change of style and focus on the mission of the local Church. 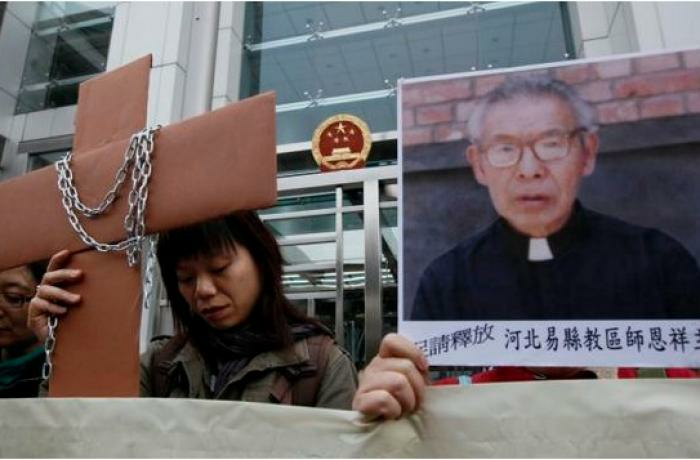 The open letter was released almost immediately after the funeral of Mgr Michael Yeung. Perhaps worried by Beijing’s possible influence on the choice of the new bishop, the petitioners ask the diocese not to be China’s "vassal", but support instead the religious freedom of Chinese Catholics and other religious communities. Whilst appreciating the cultural, educational, charitable contribution that the Church of Hong Kong has offered so far to the local population, the letter calls for an end the "colonial" experience, typical of the British period, during which the Church offered substitute services. The petitioners also ask that the Church engage in the political field. Its members must fight to safeguard the dignity of the people of Hong Kong and the territory’s democratic freedom. Here is the full text. 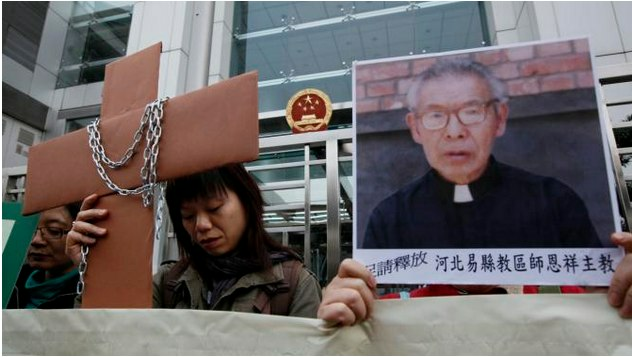 * In the photo: Demonstration on behalf of persecuted Christians in front of the China Representative Office in Hong Kong.